We could go through life and not fear God and many do, but if we understand the importance of fearing Him it brings many blessings. (Psalm 115:11-15). Ye that fear the Lord, trust in the Lord: he is their help and their shield. The Lord hath been mindful of us: he will bless us; he will bless the house of Israel; he will bless the house of Aaron. He will bless them that fear the Lord, both small and great. The Lord shall increase you more and more, you and your children. Ye are blessed of the Lord which made heaven and earth. 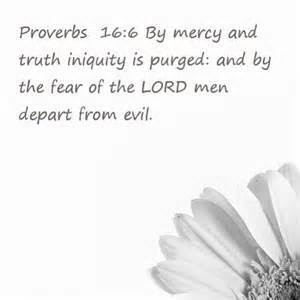 We live in a world that has focused on the love of God which is very good, but sadly what some have left out is pride and hate is sometimes present also in God’s plan and if we truly fear the Lord as Christians we hate evil just as He does. (Proverbs 8:13 The fear of the Lord is to hate evil: pride, and arrogancy, and the evil way, and the froward mouth, do I hate…….. (Proverbs 16:6). Some live in fear of others but we are forewarned by Jesus Himself who we are to fear! (Luke 12:4,5). We are reassured of the weight of this passage of whom to fear in the book of Isaiah where the Lord says why are you afraid of a man that will die and we forget the Lord our maker who is the one we need to be fearing. For it is He which puts His words in our mouth so that He may plant the heavens and lay the foundations of the earth. This shows us the true power of God who has predestined His people from the very beginning. (Isaiah 5:12-16) And the harp, and the viol, the tabret, and pipe, and wine, are in their feasts: but they regard not the work of the Lord, neither consider the operation of his hands. Therefore my people are gone into captivity, because they have no knowledge: and their honourable men are famished, and their multitude dried up with thirst. Therefore hell hath enlarged herself, and opened her mouth without measure: and their glory, and their multitude, and their pomp, and he that rejoiceth, shall descend into it.And the mean man shall be brought down, and the mighty man shall be humbled, and the eyes of the lofty shall be humbled: But the Lord of hosts shall be exalted in judgment, and God that is holy shall be sanctified in righteousness….. (Romans 8:29-31). We are accepted by God when we do what is right and know it is best to fear Him. (Acts 10:35).